Groupe Acrobatique de Tangier was created by Sanae El Kamouni in 2003. Her idea was to work with acrobats from Tangier and produce something new. Her premise is simple; there is an acrobatic tradition in Morocco that has its own history and is unique. It is practised with the highest standards imaginable by numerous Moroccan troupes and families. However, no new shows are created by these artists who repeat the same numbers in the street and traditional circuses or on rare occasions when they are given work by the tourism or entertainment industries. At the heart of this group of performers is the legendary Hammich family, who have been performing worldwide for seven generations. Convinced that another story could be invented with these talented artists, Sanae El Kamouni instigated a different way of working. She has invited European theatre makers to go to Tangier to create contemporary productions, devised with the Moroccan acrobats. The first production, Taoub, directed by Aurélien Bory from France in 2004 has been performed worldwide. Its success brought public and professional visibility to the group. Chouf Ouchouf has also toured internationally. As an important part of her plan, Sanae El Kamouni has also formed the Association Scènes du Maroc, which specialises in developing cultural projects. Its aim is to make a significant contribution to the emergence of a new Moroccan culture, as well as supporting young Moroccan artists in projects both locally and internationally. The Hammich family from Morocco has been honing their traditional acrobatics on the beach of Tangier for seven generations. 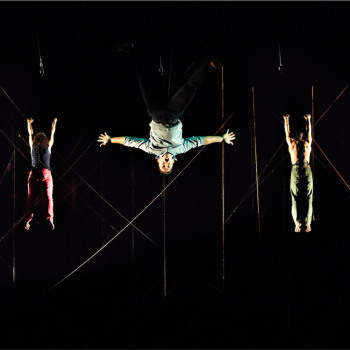 Travelling round the world performing their spectacular tumbling and balancing acts at traditional attraction parks and events, their lives changed when they met Sanae El Kamouni who introduced them to French contemporary theatre director Aurélien Bory. Under the guidance of Sanae they began working with the pioneering director after he spotted their spectacular acrobatic tumbling and hand balancing on the sand. 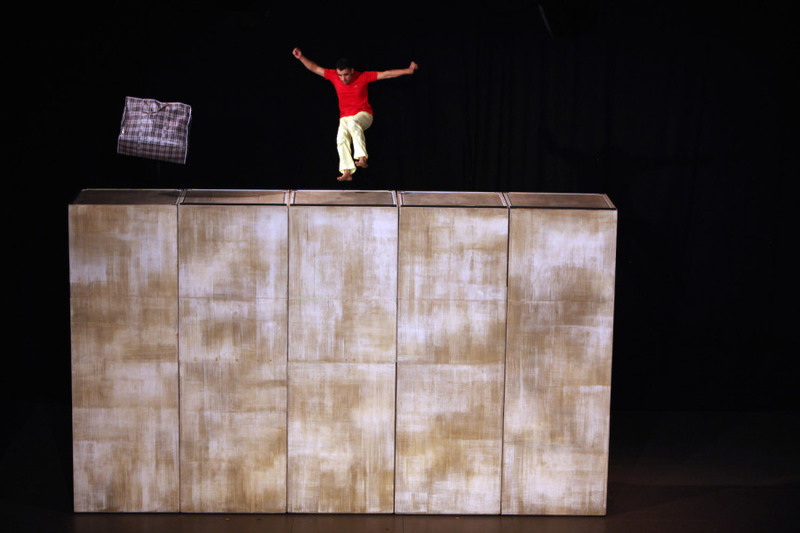 They collaborated on a new work Taoub, which saw the Hammich family embrace a new concept; blending traditional Moroccan acrobatic skills with contemporary theatre performance. 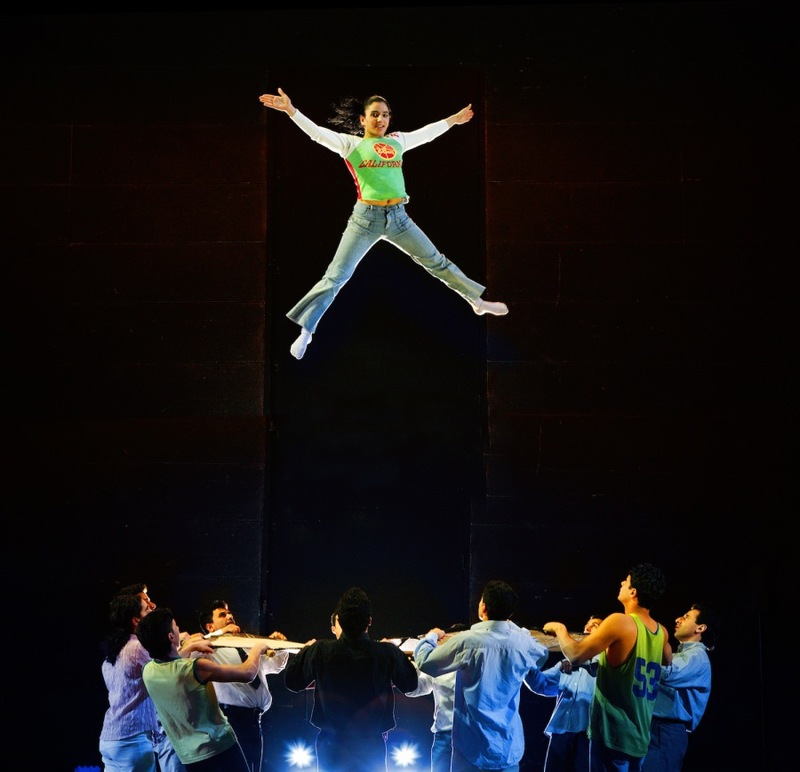 Anchored by a loose narrative that highlights contemporary and traditional aspects of Arabic culture, Taoub combines Bory’s outstanding choreography and visually stunning direction with the grace, strength and elegance of the acrobats. Chouf Ouchouf, was their second large scale work, a collaboration with Swiss artists Zimmermann & de Perrot explored the life in the medina using ingenious moving towers to conjure up day to day life and its many challenges. The group also performed at Piccadilly Circus Circus on a stage in the middle of a pedestrianised Regent Street, part of the secret pop-up circus for The Mayor of London’s Surprises for the London 2012 festival. In 2012, film-maker Deborah May, cameraman/artist David Gopsill and Crying Out Loud’s artistic director Rachel Clare travelled to Morocco to film the Hammich family at home in Tangier to find out how Taoub was made, and how their later work Chouf Ouchouf was inspired by the Medina, the city’s bustling old quarter. The film, Circus in the Medina, was broadcast on The Space in the same year.